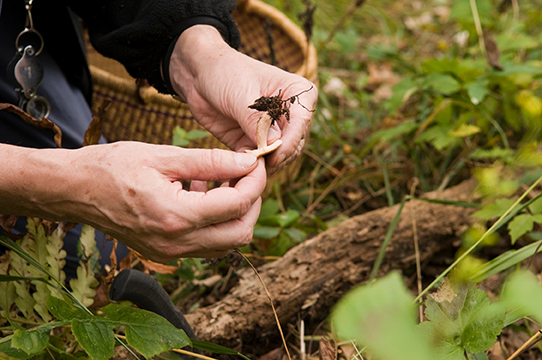 Foraging for edible mushrooms is a treasure hunt that always yields a reward. You never know what you’re going to find. At the least, you’ve spent enjoyable time outdoors in nature. My tools are simple: a hand lens, knife, and a flat-bottomed basket that prevents any mushrooms I’ve collected from scrunching together. I like to wrap my finds in wax paper or wax paper bags. Paper bags can work too, but mushrooms tend to dry out after a while. (At the other extreme, mushrooms wrapped in plastic tend to sweat and can develop undesirable molds.) I typically head out in long pants and a long-sleeved shirt—protection against the poison ivy and bugs abounding in the woods. 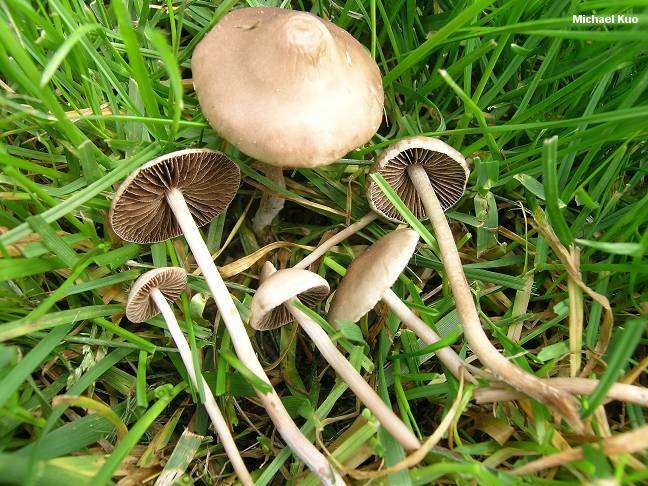 I also carry knowledge that helps me discern among the more than 1,200 types of mushrooms identified so far in the Chicago metropolitan area. For more than 30 years, I’ve researched the vital role that fungi play in ecosystems around the world (but my interest in mushrooms and love of nature extends well beyond the laboratory). 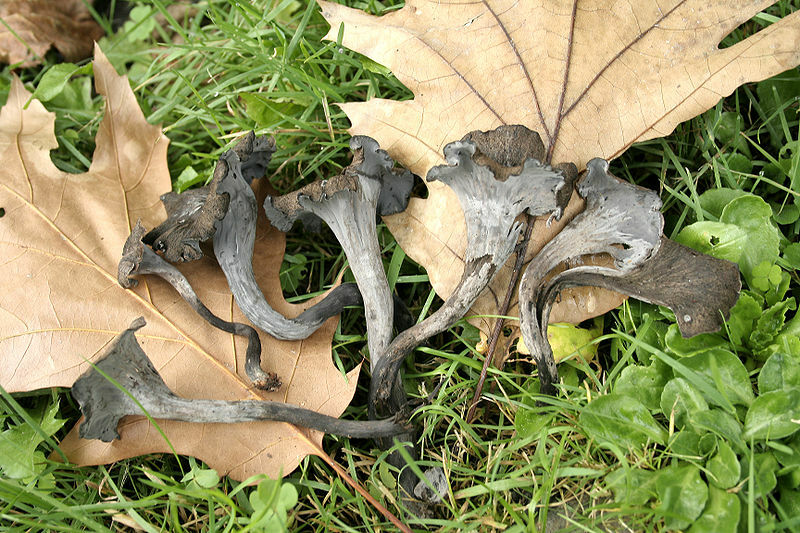 Great finds: black trumpets, and more importantly—chanterelles! Summertime is the fruiting season for two of my favorite edible mushrooms: chanterelles (Cantharellus cibarius) and black trumpets (Craterellus cornucopioides). Chanterelles are one of my very, very, very favorite things to collect. I look for chanterelles in oak woodlands because chanterelles and oaks need each other to survive. The long fibrous root system of the chanterelle’s mycelium—the long-lived part of the mushroom comprised of microscopic filaments that grow through the soil—forms a protective sheath around the roots of the oak and provides the tree with water, nitrogen, phosphorus, and other nutrients. The symbiotic relationship allows the chanterelle to take up excess sugar the tree has produced through photosynthesis. We wouldn’t have a forest without mushrooms like chanterelles, and we wouldn’t have chanterelles without a forest. Chanterelles have a yellow-gold color that makes them somewhat easy to spot on the woodland floor, and they offer up a fruity, apricot-like smell when picked. They do, however, bear a resemblance to the toxic jack-o-lantern mushroom (Omphalotus olearius), the second-most common mistakenly eaten mushroom in the United States. (The green-spored lepiota [Chlorphyllum molybdites] is the most common.) We can tell chanterelles from jack-o-lanterns when we turn them over and look at the underside of the cap: chanterelles are nearly smooth to strongly ridged, while the jack-o-lantern has well-developed gills like a grocery store mushroom. Chanterelles are also getting a closer look from the scientific community. Until fairly recently, we assumed that the chanterelles growing around the world belonged to a single species. Subtle differences in color and size were attributed to normal variations within a species. 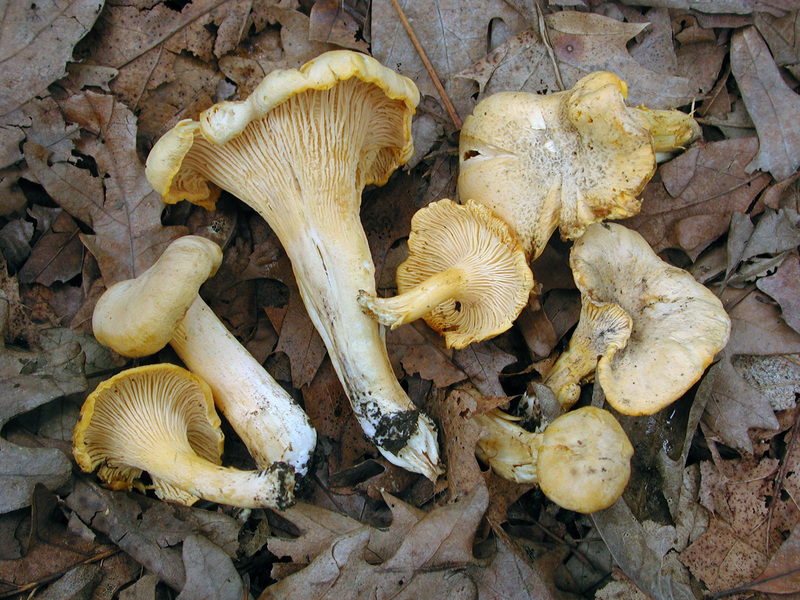 DNA analysis suggests that the chanterelle genus contains myriad distinct species. My team of researchers has found three different types growing in the Chicago area alone, and we believe this is just the tip the iceberg. 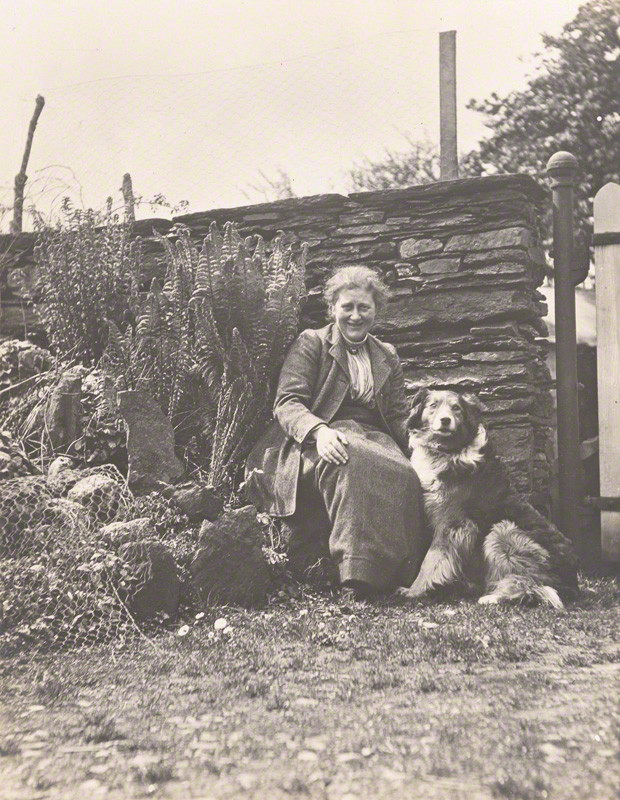 The findings have important implications for plant conservation. 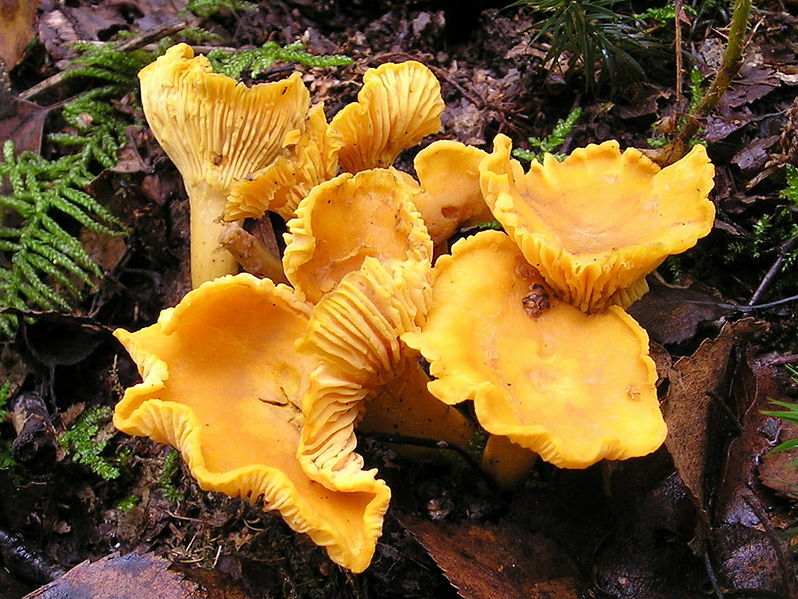 What are the threats to individual species of chanterelle? What will happen to local ecosystems if a unique species is lost? In early August I discovered my first chanterelles of the season growing in a nearby oak woodland. I won’t harvest these—it’s illegal to collect mushrooms in forest preserves in counties surrounding Chicago—but I can imagine the delectable mushrooms sautéed in butter or a little olive oil, and minimally seasoned (so I can enjoy the pure chanterelle taste). For a more substantial dish, a chanterelle omelet is just to die for. You can learn more about the mushrooms growing throughout the region at the upcoming Illinois Mycological Association Show. Maybe I’ll see you there.